Xingtai Refined Machinery And Auto Accessory Co., Ltd.
Dongguan Kuaixian Automobile Parts Co., Ltd.
: Our company in Dongguan China, was founded in 2004. It covered an area of more than 8000 square meters with advanced CNC equipments, laser cutting device, complete test facilities and a professional research development and production team. 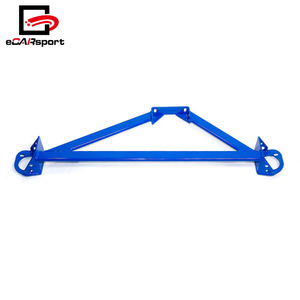 Our major business includes strut bar, strut brace, anti roll bar, sway bar, roll cage, control arm, Brake cylinder stopper. Honesty and keeping faith are our invariable goal, with good quality and best service, we win the trust of our customer , We will try our best to develop more products to repay our customers. Hunan Lvtu Auto Parts Co., Ltd. Manufactured from high quality Aluminum Magnalium , CNC machined then polished to mirror finish. Reduce body roll during corning or braking, improves your vehicle's steering response and handling. We are sincerely looking forward to entering into business relationship with you. Jiajun Auto Accessories Manufacturing Co., Ltd.
Ruian Mines Electronic Commerce Inc. When you are making an inquiry, please let us know the quantity you want. 2. About Sample: Sample is Free, but you need to pay the air freight to us. But due to long time shipment there will be a little damage for products. 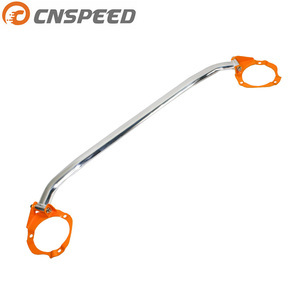 Zhejiang Longtai Shock Absorber Co., Ltd.
Qinghe Zhoushi Automobile Parts Co., Ltd.
Qinghe County Liansen Automotive Components Co., Ltd.
Hangzhou Skypower Racing Parts Ltd.
l6 GAS DOHC Naturally Aspirated 2002 BMW Z3 Roadster Convertible 2-Door 3.0L 2979CC l6 GAS DOHC Naturally Aspirated 2001 BMW Z3 Coupe Coupe 2-Door 3.0L 2979CC l6 GAS DOHC Naturally Aspirated 2001 BMW Z3 M Coupe Coupe 2-Door 3.2L 3246CC l6 GAS DOHC Naturally Aspirated 2001 BMW Z3 M Roadster Convertible 2-Door 3.2L 3246CC l6 GAS DOHC Naturally Aspirated 2001 BMW Z3 Roadster Convertible 2-Door 2.5L 2494CC 152Cu. In. l6 GAS DOHC Naturally Aspirated 2001 BMW Z3 Roadster Convertible 2-Door 3.0L 2979CC l6 GAS DOHC Naturally Aspirated 2000 BMW Z3 Coupe Coupe 2-Door 2.8L 2793CC l6 GAS DOHC Naturally Aspirated 2000 BMW Z3 M Coupe Coupe 2-Door 3.2L 3152CC l6 GAS DOHC Naturally Aspirated 2000 BMW Z3 M Roadster Convertible 2-Door 3.2L 3152CC l6 GAS DOHC Naturally Aspirated 2000 BMW Z3 Roadster Convertible 2-Door 2.5L 2494CC 152Cu. In. l6 GAS DOHC Naturally Aspirated 2000 BMW Z3 Roadster Convertible 2-Door 2.8L 2793CC l6 GAS DOHC Naturally Aspirated 1999 BMW Z3 Coupe Coupe 2-Door 2.8L 2793CC l6 GAS DOHC Naturally Aspirated 1999 BMW Z3 M Coupe Coupe 2-Door 3.2L 3152CC l6 GAS DOHC Naturally Aspirated 1999 BMW Z3 M Roadster Convertible 2-Door 3.2L 3152CC l6 GAS DOHC Naturally Aspirated 1999 BMW Z3 Roadster Convertible 2-Door 2.5L 2494CC 152Cu. In. Xiamen Huibang Imp. & Exp. Co., Ltd.
Package and Delivery: Neutral Packing Or Customerized Packing. We accept customerized brand packing if the quantity is good. Payment terms: We accept L/C,T/T, Western Union If you are interested in our products or you want more information, please feel free to contact us. Therefore, polyurethane has been widely adopted by international automobile factories as the best materials for car body kits. The above great features of polyurethane automobile body kits are much more superior to regular materials like PP fiber body kits. Polyurethane automobile body kits have firstly supplied a gap in Chinese market of automobile nonmetal macromolecule technology. Guangzhou Yuzhiqi Commerce And Trade Co., Ltd.
Rui'an Reliable International Trading Co., Ltd.
Ningbo Yipei Mechanical & Electrical Co., Ltd.
6.During the warranty period,if the product you have any questions,we can exchange. Q1.What is your terms of packing9 A:As usual neutral packing with brown boxes. Q3.Can you produce according to the samples9 A:Yes, we can produce by your samples or technical drawings. 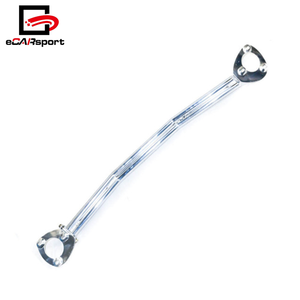 Alibaba.com offers 1,230 front strut bar products. such as free samples. 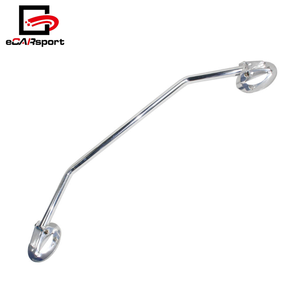 There are 1,202 front strut bar suppliers, mainly located in Asia. The top supplying countries are China (Mainland), Hong Kong, and Malaysia, which supply 95%, 1%, and 1% of front strut bar respectively. 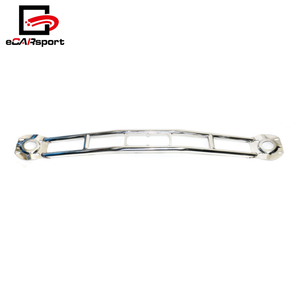 Front strut bar products are most popular in North America, Southeast Asia, and Domestic Market. You can ensure product safety by selecting from certified suppliers, including 157 with ISO9001, 62 with Other, and 26 with ISO/TS16949 certification.